Let’s face it, we all can’t be good at everything we want to do, even when we have the best intentions. This fact also includes some DIY home renovation projects. Home renovations can vary in scope from a simple room decoration project, to gutting a home and completely renovating it. The bottom line, each home renovation project varies in required skills, tools, and time, and thus should be evaluated carefully before deciding to make it a DIY home improvement project. Consequently, when planning a home remodeling or renovation project and thinking about putting in your own do it yourself sweat equity it is important that you be upfront and honest with yourself. If you really don’t have the resources to perform the home improvement work yourself, then hire a contractor. Though hiring a home renovation contractor can be a challenge, introduce its own set of risks, and will most likely add to the overall cost of the project, your chances of success on your home remodeling plans will be greatly improved. 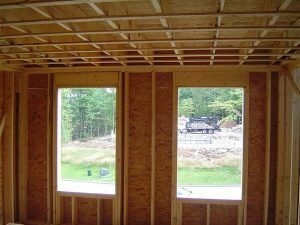 I have personally seen many cases where a well intentioned home owner planned to do their own DIY home renovation and the project dragged on forever, never got completed, or looked sub-par when it was finished. When considering a DIY home renovation project it is important to ask yourself four basic set of questions and to answer them honestly. First, do you have previous experience in the particular home remodeling or renovation project you plan to tackle? If not, then what makes you think you can do a better job than a contractor skilled in the particular task? Second, do you have, or can you obtain, all the necessary tools to perform the home renovation project properly? For example, if you are planning to build an addition onto the side of your home, do you have the power saws, staging, nail guns and compressor, levels, a plumb line, a hammer, and a square, etc to tackle the project. And, do you have the skills to use these tools properly. Without the right tools, and the knowledge of how to use them properly, it will be nearly impossible to perform quality work. Third, do you have the strength and extra support you may need for performing a DIY home renovation project. Again, if you are adding on an addition to your home, or even simply hanging sheetrock in your home, do you have the physical strength or extra set of hands to help you do the heavy lifting. If you do not, then you should seriously consider hiring a home remodeling contractor to perform the work. Finally, do you have the time. 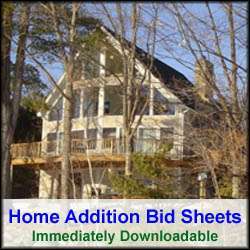 Home remodeling and renovation projects take a lot more time and energy than many homeowners realize. If you work all day, you need to ask yourself whether or not you are prepared to work evenings and weekends to complete the DIY Home Renovation. As part of answering this question, you also need to be honest about your timeline for completing the project. DIY home renovations projects typically take much longer to complete than if performed by a home remodeling contractor. If after answering these 4 sets of questions you still feel up to your DIY home renovation project, then go for it. On the other hand, if by answering these questions honestly you’ve realized your limits, begin the process of soliciting bids from home renovation contractors. Though having to hire a contractor may not have been part of your original home renovation plans, it is better to be upfront and honest with yourself now, so that you will ultimately improve your chances of a successful home renovation project.